That is what the “ME” represents. It is not about us, but it is about “ME”--that's you. Everything that we do, we do with the intense purpose of ensuring you maximize the “ME” that makes you, you. It doesn’t matter if you are an emerging, small, medium or large business, non-profit, faith- or community-based organization or even an individual, we keep in focus your needs and your desired outcomes. We have come to realize that the strategies and tactics we employ has more to do with you, than us. What we do on our end is to expertly guide you through the maze in positioning you as a marketplace influencer. In today’s environment, the influencers are the ones who shape our world and our future. Sometimes, we know we are an influencer, but we don’t know how to let the world know. That is where we come in. We take your vision and desires from being concepts in your mind to becoming your reality. We work closely with you in developing a strategy that propels you forward and positions you as an influential player in your respective arena. It is about vision, energy and results that parlays into planning, strategy and execution. Seamlessly integrating each of your needs, enables us to focus on the strategies and tactics that affords you the maximum return, exposure and influence. It is a never-ending process. Your success, as we work together, is never ending. ​Brand Identity. A company’s identity exemplifies their philosophy and beliefs. We work directly with clients to capture the essence of their culture to establish corporate and identity branding campaigns that successfully transition an old look into a new identity, or to create an identity that seamlessly echoes your brand. Research. All strategic and successful marketing campaigns are based on the habits and practices of its consumers. We oversee primary and secondary market research to determine the needs of your target audience. Social Media. It’s noisy! Yes, it is. Noise is everywhere. But you can conquer the noise. We help you conquer the noise by identifying those platforms that keeps you engaged and solidify your brand with your audience. Digital Blueprint. From email marketing, to SEO, to online web property, to landing pages, and electronic newsletters and more, your integrated digital blueprint mandates a comprehensive strategy to drive traffic and increases conversions. We develop strategies for your message to resonate above the noise. Creative. Creative eye catching designs draw the audience to the message. Partnering with clients is vital to develop a compelling and aesthetically appealing integrated brand that includes brochures, advertising media kits, ads, newsletters, annual reports, and other collaterals. Advertising. With so many messages competing for a customer’s attention, it’s imperative your message is delivered using the appropriate vehicles. That doesn’t necessarily mean the most expensive, but it does mean the most effective. Using qualitative and quantitative measurements, we assess all vehicles and recommend only those that can deliver your audience. ​Copywriting. The pen of a ready writer is a powerful tool with the persuasive power to effectively communicate your message. You have one chance to not only grab them, but to keep them engaged. From news releases, to taglines, to engaging website copy and more, our goal is to use our pen as a masterful instrument in communicating your message to persuasively build credibility, ignite interest and establish lasting commitment. Media Relations. Publicity, the sister to advertising, establishes credibility and enhances reputation. Although publicity and advertising are close relatives and augment each other, the difference is that with advertising you blow your own trumpet, and with publicity someone else blows the trumpet for you. 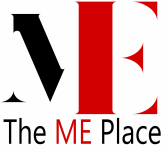 The ME Place works with the media to make sure our clients’ media placements achieve results--without the price tag. Brand Messaging. We’re allies and don’t mind doing the research in message development for our clients. We collaborate with clients to develop the message they want disseminated. We honor that collaboration by developing effective information kits, news releases, background information, fact sheets, feature articles, PSA’s, pitch letters and more. We deliver your message into the right hands so your message can have resonating influence far and wide. ​Speaker Influencer. We identify opportunities for you be positioned as an expert influencer. We develop a complete Speaker Profile Influence package to position you as an industry influencer. Checked us out. Now do more. Contact Us.